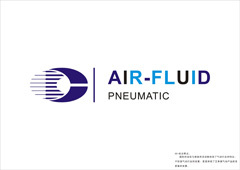 Air-Fluid High Pressure Push Lock Coupling Union. Air-Fluid H.P Slip Lock Fittings 10-24unc Fittings. Air-Fluid Slip Lok Fittings Nickel Plated Brass. Air-Fluid H.P Slip Lok Fittings Equal TEE. Air-Fluid Mist Cooling Slip Lok Fittings Air-Fluid High Pressure Push Lock Fittings Union Straight. Air-Fluid High Pressure Misting Systems Fittings. Air-Fluid Sliplock Tee High Pressure Fittings. Air-Fluid Misting Nozzle Straight Fittings 1/4" Air-Fluid Mist Cooling Accessories 3/16 Inch Fittings . Air-Fluid Slip-lok Tubing and Fittings 135 Degree . Air-Fluid Slip Lock Push in Tee Fittings. Air-Fluid Brass Push in Fitting Straight Male Thread Air-Fluid Brass Nickel-Plated 90 Deg Swivel Elbow Fittings Air-Fluid Metal 90 Degree Female Thread Swivel Elbow Air-Fluid Brass Straight Female Thread Fittings Air-Fluid Brass Push-In Male Branch Tee Swivel Fittings Air-Fluid Brass PushIn Male Run Tee Swivel. Air-Fluid Nickel-Plated Brass Equal Tee Connector Air-Fluid Brass Equal Elbow Push in Fittings. Air-Fluid Brass Banjo Swivel Push in Fittings Air-Fluid Nickel Plated Brass Union Straight Fittings Air-Fluid Brass Nickel-Plated Equal Cross Push in Fittings. Air-Fluid Brass Nickel-Plated Equal Y Push to Connector. Air-Fluid Brass Nickel Plated Bulkhead Union Fittings Air-Fluid Brass Nickel-Plated Bulkhead Female Thread Air-Fluid Brass Nickel-Plated Equal Five Way Connector. Air-Fluid Brass Nickel-Plated Air Flow Control Valve Air-Fluid Brass Nickel-Plated Reducing Straight Connector Air Fluid Brass Reducing Plug Push in Fittings. Air-Fluid Pneumatic Flow Control Valve AJSC10-1/4 Air Fluid BSPT All Metal Speed Control Valve. Air-Fluid Teflon Washer Fitting Straight Male Adaptor . Air-Fluid Metal Teflon Washer Push in Fitting Air-Fluid Push in Long Male Swivel Elbow Fittings Air-Fluid Teflon Washer Brass Push in Fittings Air-Fluid Brass Push in Run Tee Fittings . Air-Fluid Brass Push-In - Male Branch Tee Swivel Air-Fluid Brass Push-In - Male Connector Air-Fluid Brass Nickel-Plated Elbow Push in Fitting. Air-Fluid Male Elbow Push In Pneumatic Fittings. Air-Fluid 1/4" Teflon Crush Washers Elbow Fittings . Air-Fluid Push in fitting Elbow Male Taper .